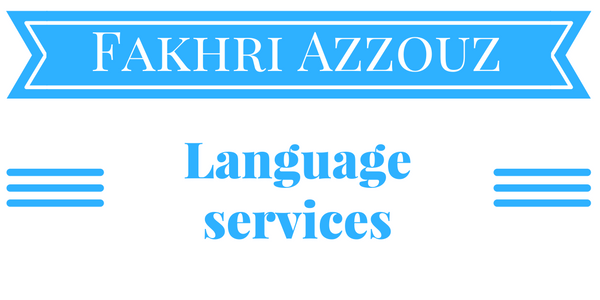 Translation is reading the source language understand it, then translating/ writing into the target language, thus improving your writing skills means superior translation, better attention to details, and faster delivery. When studying writing you will acquire in-depth understanding of many aspects of writing techniques and skills such as punctuation, grammar, the process of writing, and reviewing. With no doubts reading also strengthens these skills but writing which is an active language skill that develops these abilities faster and better. II- How writing improves your reasoning and critical thinking? Thus, by developing your writing skill and you will as well enhance your critical thinking. Writing involves: collecting information, analyzing them, reflecting, and presenting them in a way that makes understanding the idea easy. Moreover, complex ideas need serious brain power to process and to present the piece of writing. This research entitled Learning to Improve: Using Writing to Increase Critical Thinking Performance in General Education Biology indicates that “ the writing group significantly improved critical thinking skills whereas the nonwriting group did not.” This research also demonstrates that critical thinking improves daily life as people will take better decisions generally. This article in Wall Street Journal explains that employers state that critical thinking is in high demand skill but in short of supply. Thus, your writing ability that strengthens your critical thinking will make your profile more attractive to employers. Learning this new language skill and being proficient in it will boost your income. Writing is highly sought after competence. In fact, any website needs text as content. Moreover, you can write in the field you are specialized in translation and this will give you more credibility as a reference and even authority in your specialty whether as a translator or writer. After following my recommendations (or at least some of them) what are the platforms and apps that you will use to write? 1- You can use Google docs to write your ideas. Create a folder and include your documents there. Be sure to name your folder properly. If writing is a priority for you star your folder. I personally write in Google docs before copying the text to my blog. Google docs save automatically your text after any change, consequently it is safe from being lost. 2- WordPress: there is a free version and a paid version. However, in the free version, you won’t have total control or ownership over your website. To enjoy all the features of WordPress you need to buy a domain name and a hosting service. WordPress does not need any coding skills and it has thousands and thousands of free themes and plugins. 3- Linkedin: You can write and publish content in your LinkedIn and share it with your professional network. If you publish content regularly and with great quality, you will be seen as an authority in your field. 4- Medium is a publishing platform of varied articles. Medium is an effective blog to build your personal brand. It was by founded by Twitter co-founder Evan Williams and it is linked to twitter too. As when you sign up in Medium using Twitter you will have from the start your twitter followers in your new medium account. As a language professional writing skill is a must know competences. You will reach the next level of success and maturity. You can start by writing articles about your language business and improve your visibility and why not become an authority. Feel free to leave a comment or a question.